Former Trump aide Sam Nunberg seems to be headed toward a contempt of court charge as he defiantly stated that he will refuse to comply with a federal subpoena. Nunberg said Monday that he has been subpoenaed to appear in front of a federal grand jury investigating Russia’s interference in the 2016 presidential election but that he will refuse to go. In an interview with The Washington Post, Nunberg said he was asked to come to a Washington D.C. federal courthouse to appear before the grand jury on Friday. He also provided a copy of what appears to be his two-page grand jury subpoena seeking documents related to President Trump and nine other people, including emails, correspondence, invoices, telephone logs, calendars and “records of any kind.”Nunberg forwarded an email listed as coming from the office of special counsel Robert S. Mueller III seeking his appearance in front of the panel on Friday. Among those that the subpoena requests information about are departing White House communications director Hope Hicks, former White House strategist Stephen K. Bannon, Trump lawyer Michael Cohen, former Trump campaign manager Corey Lewandowski and adviser Roger Stone. Nunberg said he does not plan to comply with the subpoena, including either testimony or providing documents. This move could out him the cross hairs of Mueller for contempt of court proceeding before a federal judge. Current federal jurisprudence grants judges wide latitude in the exercise of contempt powers, which in turn can lead to dire consequences for anyone (otherwise known as a contemnor) who has committed contempt of court. 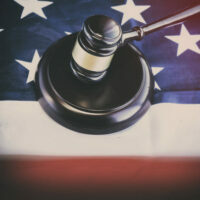 Despite the possibility of such consequences, the authority to hold individuals in contempt of court is one of the least-regulated areas of judicial power in the American legal system. Contempt of court is defined as any act which is calculated to embarrass, hinder, or obstruct a court in the administration of justice, or which is calculated to lessen the authority or dignity of a court. In light of this broad definition, it should come as no surprise that the federal contempt power has included a wide range of “casualties”: Iran/Contra figure Lt. Col. Oliver North, famed criminal defense lawyers F. Lee Bailey and William Kunstler; Hustler adult magazine publisher Larry Flynt; mob boss John Gotti’s lawyer Bruce Cutler, to name a few. If you have received a federal subpoena and have not already done so, your next step should be to hire an attorney with extensive experience representing people in federal or white collar investigations and prosecutions. Nicholas G. Matassini, an AV Rated and board certified criminal trial lawyer with vast federal criminal defense experience, will reach out to the investigating agent and prosecutor to let them know that you are represented, and that all future attempts to communicate with you need to instead be directed to your attorney. Since 1976, The Matassini Law Firm, P.A. has been committed to excellence in federal criminal defense throughout the Tampa Bay area and all federal courts in Florida.